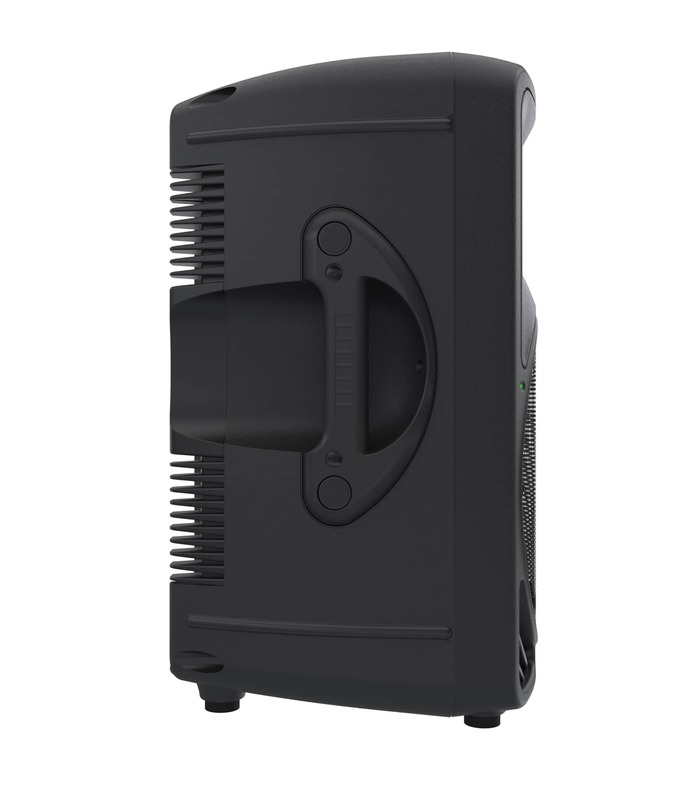 Mackie's gone the extra mile for you with the SRM350v3 active speaker. 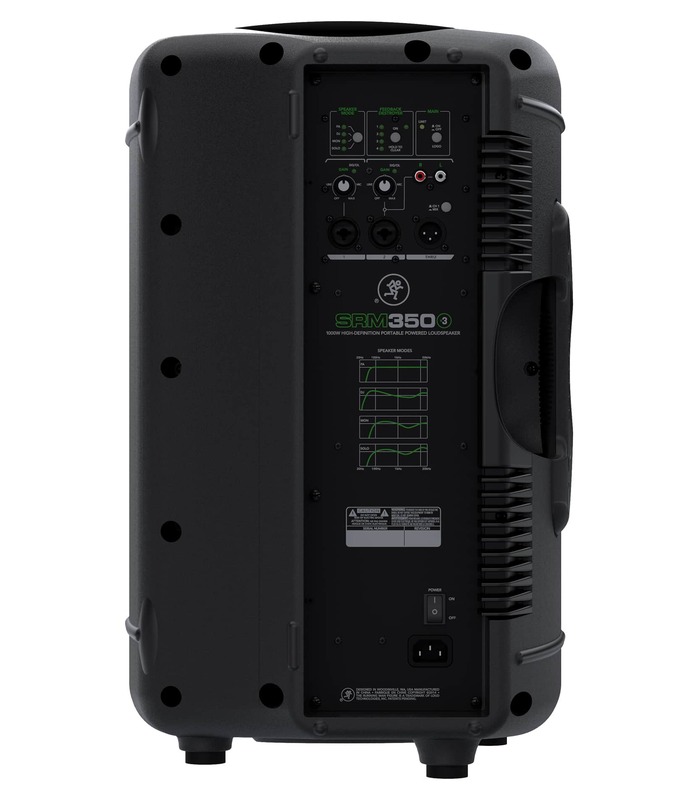 The newest generation of SRM speakers gives you 1000 watts packed into Mackie's rugged, lightweight molded enclosure along with powerful digital audio processing to match. An on-board mixer, one-button tone shaping, feedback elimination, and thru-put signal routing options makes the SRM350v3 the most powerful component of your rig but stays convenient and easy-to-use. 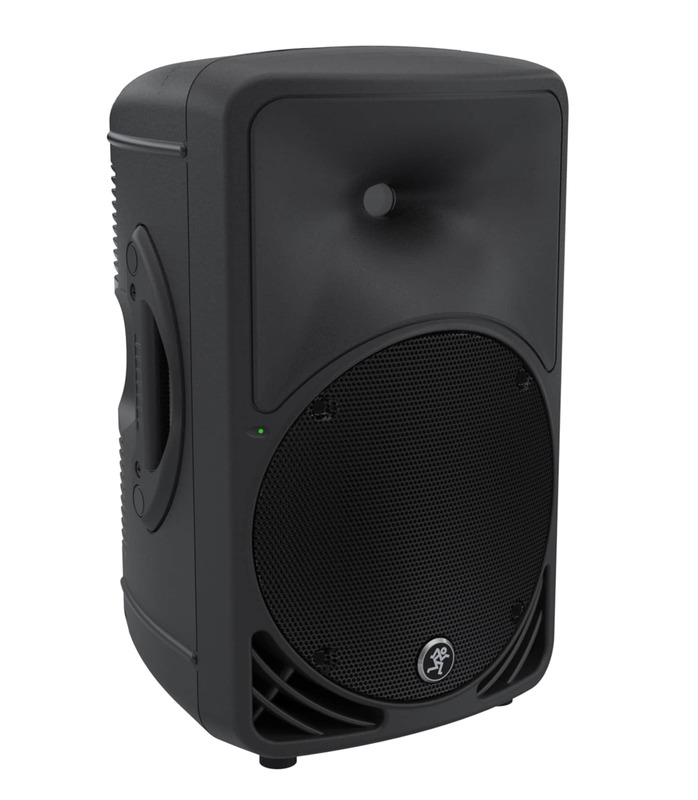 Lighten your load-in, update your PA, and let the speaker do some of the work, add a Mackie SRM350v3 active speaker to your rig! 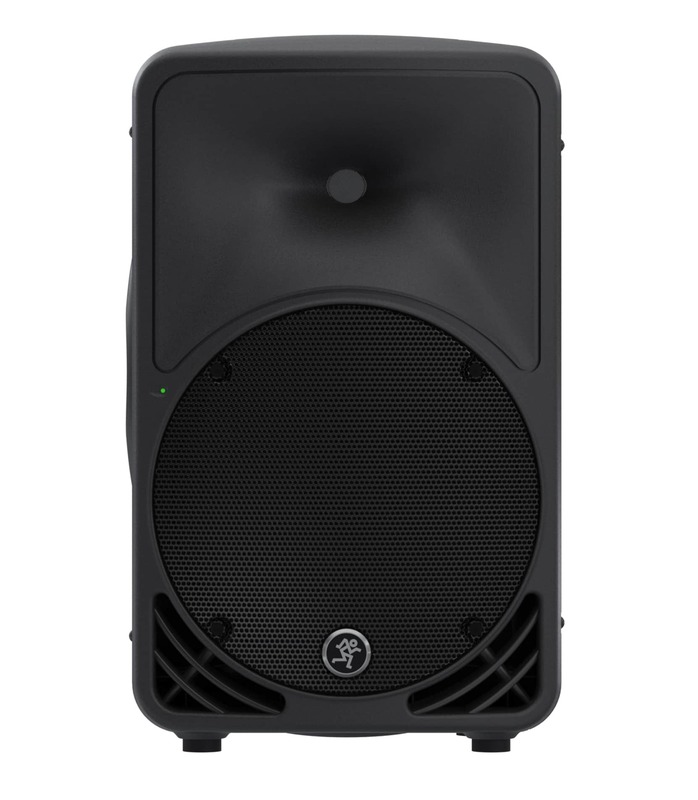 Having an active speaker or two on hand is always a good idea for a gigging musician and they don't get much more versatile than the SRM350v3. You're always coffeehouse-gig ready with an on-board mixer that has two channels of Mackie's Wide-Z preamps to handle your mics and instruments and RCA inputs for tracks or music between sets. If you're called to play a Saturday with the band at the local pub (or for rehearsal), you won't have to worry about walking into a bad monitoring situation. Do what Sweetwater players do and take your SRM305v3, its perfectly designed 'monitor-wedge' cabinet and one-button monitor mode audio processing have you covered. The SRM350v3 does all the work that your old front of house rack took care of. The one-button High-Definition Audio Processing mode selection applies processing that makes the speaker bump for DJs or boosts vocals for your solo gigs. The automatic Feedback Destroyer keeps the squeals out of your show and you don't have to chase EQ settings all night. Mackie's proprietary Smart Protect DSP keeps your speaker safe and reels you back in if you get pushy with the master fader. Srm350v3 from Mackie is 100% original and brand new. We, at Melody House take pride in our after sales service and support. For further details on the srm350v3, Mackie, simply write to us to consult an expert or order online and we will take care of the rest. Happy Shopping!